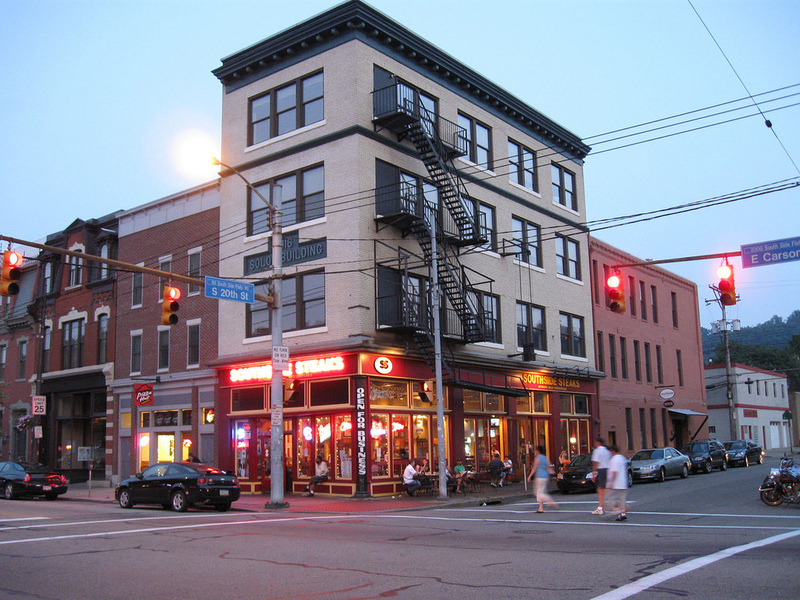 As more than a handful of neighborhood commercial districts throughout Pittsburgh explore the formation of Neighborhood Improvement Districts (NIDs), the challenges to formation have begun bubbling up in some very public forums. It shouldn’t have come as a surprise that this issue would eventually make the papers – and it finally has. In the case of the proposed NID on Pittsburgh’s South Side, the local paper, the Pittsburgh Post-Gazette, came out vociferously in opposition to the NID (Bar this tax: South Siders shouldn’t pay more for basic services). Typically, BID and NID opposition comes from people who don’t want to pay or don’t think they should have to pay for district management services. Yet what is interesting is that the Post-Gazette didn’t seem to have a problem with the idea that a mandatory assessment should be used to pay for services. Their gripe was that RESIDENTS shouldn’t be forced to pay for additional services that are a direct result of the BUSINESSES in the district. On the South Side, the issue is primarily that of local bars and restaurants that fill up with young people on the weekend… and the problems that arise as they subsequently stumble out of bars, create chaos and sometimes dangerous conditions for everyone in the community. Try walking Carson Street on a Sunday morning and you’ll also see the need for clean up that other communities simply don’t have to deal with. Should every neighborhood in Pittsburgh pay for services that Carson Street needs that are above and beyond what even reasonable people might call “basic”? Should police be deployed in greater concentrations to Carson Street to deal with unsafe conditions, leaving other communities lacking in police services? When municipal resources are limited, and they always are, giving everyone a basic level of service is expected. But giving some neighborhoods a higher level of service at the expense of other neighborhoods is not. And we haven’t even touched upon the marketing and promotional efforts that most Improvement Districts take on – work that most certainly falls outside of what government is typically expected to do. It should be noted that in many places, residents don’t pay or contribute significantly to Improvement Districts assessments– that is why they are called Business Improvement Districts, and not Neighborhood Improvement Districts. Yet this does not mean that residents are kept from participating. In many BIDs, residential property owners pay a symbolic $1 assessment which gives them some say in governance and a seat at the table. Engaging residents is important – after all, they are the customers. Approach and educate your local editorial boards early on with respect to the value of Improvement Districts before your detractors do. Remember, this is like any political campaign. Typically candidates set up meetings and work on convincing the media to make an endorsement. This is exactly how you should approach your effort as well. Cultivate public opinion. In Middletown, CT, where I cut my teeth helping start a Main Street organization in the late 1990’s, we asked the local paper to give us a weekly column called “Mainly Main Street”. As a young staffer, I would write ghost columns for each of our steering committee members. Each week, a column “penned” by one of our prominent committee members would appear in the paper. This helped to put a familiar face on our local support and disarmed critics from the beginning. After a few years of a Main Street program, a small BID was formed with no opposition. Today Main Street in Middletown, CT is bustling with restaurants, a small hotel, and boutique restaurants as a result of our efforts. But it all started with education and outreach. Use your Board. Develop talking points for your board or steering committee that recognize the opposition’s concerns, but provide counterarguments for each. Consider bringing in a media specialist to a board meeting to help prep your board. Your board should be your advocates and public response in the face of criticism. Be ready with your responses. If you do face public criticism, be ready with key supporters (ideally influential local leaders) who are prepared to write the public response. Take care to make sure that the responses come directly from those who will benefit from the program, property and business owners who buy in to the concept. If you have other Improvement Districts in your community, engage them in responses and share the story of their success. A successful Improvement District is a great counterpoint to detractors. Revisit your Assessment Formula or Boundaries. Developing your formula and boundaries is not necessarily a one shot proposition. It is sometimes an iterative process. So be open to revisiting your assessment model and boundaries. In New York, BID boundaries and assessments are a moving target that are formed and reformed as the result of outreach and feedback. Take your time doing outreach to property owners and business owners. If you face vigorous opposition from a few people, see if you can carve them out of the district entirely. In New York, it’s not uncommon to have somewhat strange BID boundaries that keep some detractors out and supporters in. In the case of the South Side, I might suggest dropping the residential contribution. Wouldn’t that address the concerns of some of the loudest opponents? In DC, I have argued that at least one BID should convert to a "CID" (we don't have a CID type structure), because of the high concentration of residents intended to be in multiunit buildings in the BID's boundaries, and how there is no representation of their interests in the BID structure. Relying on the benevolence of property owners representing the interest of the apartment dweller customers isn't enough. As you know, "Community Benefits Districts" including residential members have been very controversial in Baltimore, with a small but vociferous opposition by a group of residents in Charles Village as long as the CBD has been in operation. OTOH, San Francisco has "community services districts" that include residential participation. Thanks Richard for the thoughtful reply – I always appreciate your feedback and thinking. I agree that residents deserve a seat at the table – they are shoppers after all! The CID vs. NID vs. BID issue, in my mind, reflects more of a general shift in organizational priorities (which then seeps into voting power), rather than something significantly different about these structures. Businesses, residents, government, etc can have a seat at the table in all of these structures (see the $1 residential assessment that many NY BIDs use). I think the issue is which constituency has control of the budget and is the percieved 'priority'.